This winter dark and gold is one of the top trends. It has the depth of brocade, foil, leaf, sequence and embroidery black and gold is blended with Asian, hippie, and modern influence. Tested and true, gold comes in many forms from soft antiqued gold to bright royal gold. It can act as a tiny detail as well as pull off the big wow factor some designs ask for. Don’t be afraid to take this luxury look of gold metallic from day to night. Make your entire outfit super rich and super fashionable! 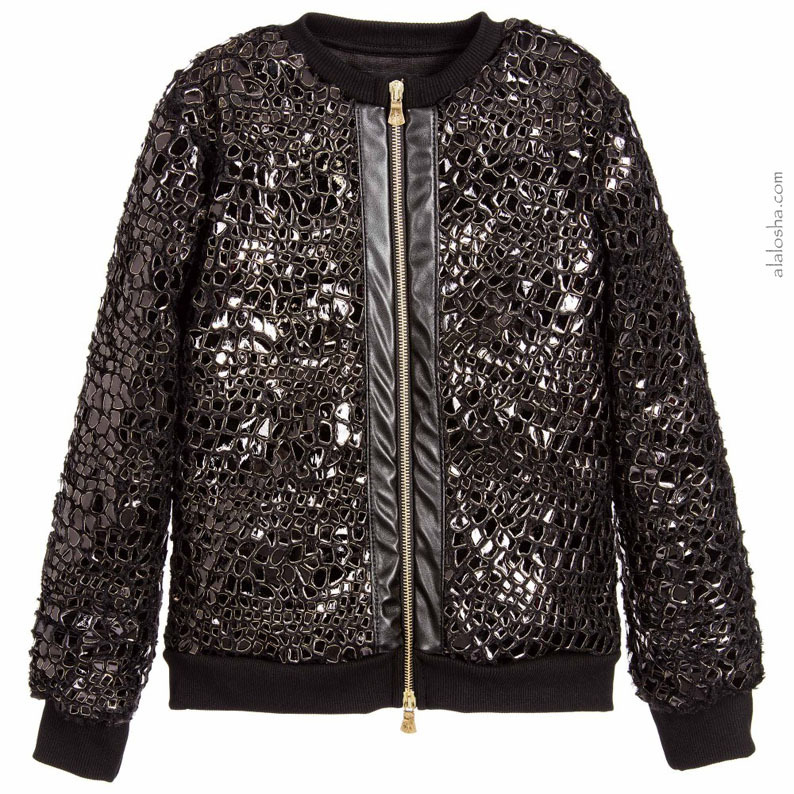 Girls black and gold bomber jacket from Cesare Paciotti. This fab jacket has a softly textured reptile scale effect in reflective black and gold, with a soft fleece base fabric. It has a gold-coloured metal zip fastening with double logo tabs at each end of the zip. The cuffs and hem are trimmed in ribbed and elasticated stretch fabric and it has a fabric lining. 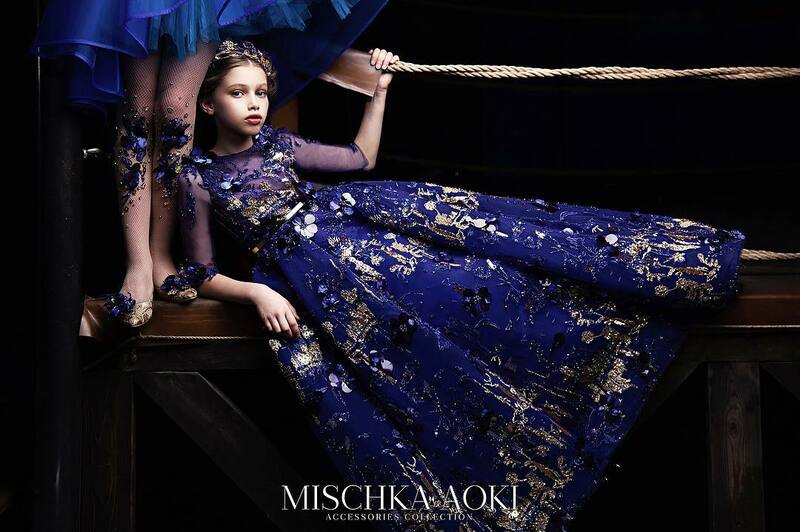 Girls black and gold appliqué dress by Cesare Paciotti. This ornate and dazzling design has mirrored appliqué and metallic gold zigzag embellishments on the front and back, with a flared and box-pleated skirt. 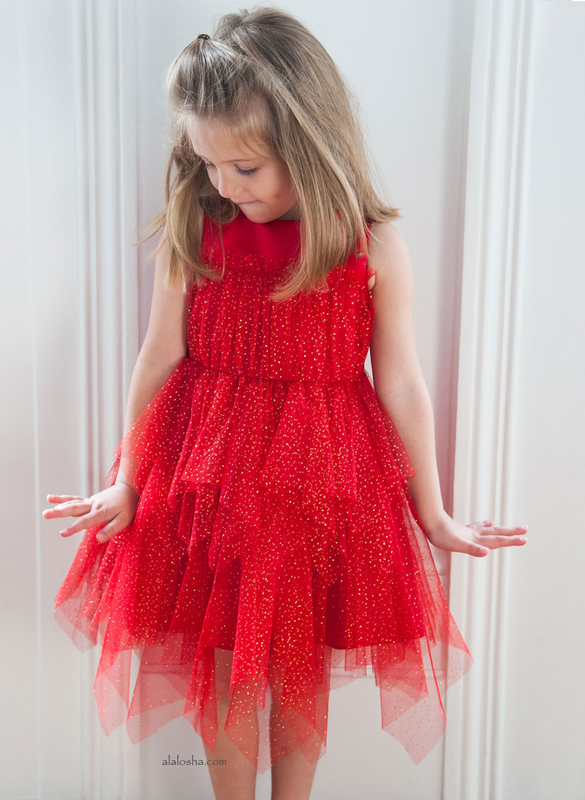 It has a fitted bodice and sheer 3/4 length sleeves and a silky lining. 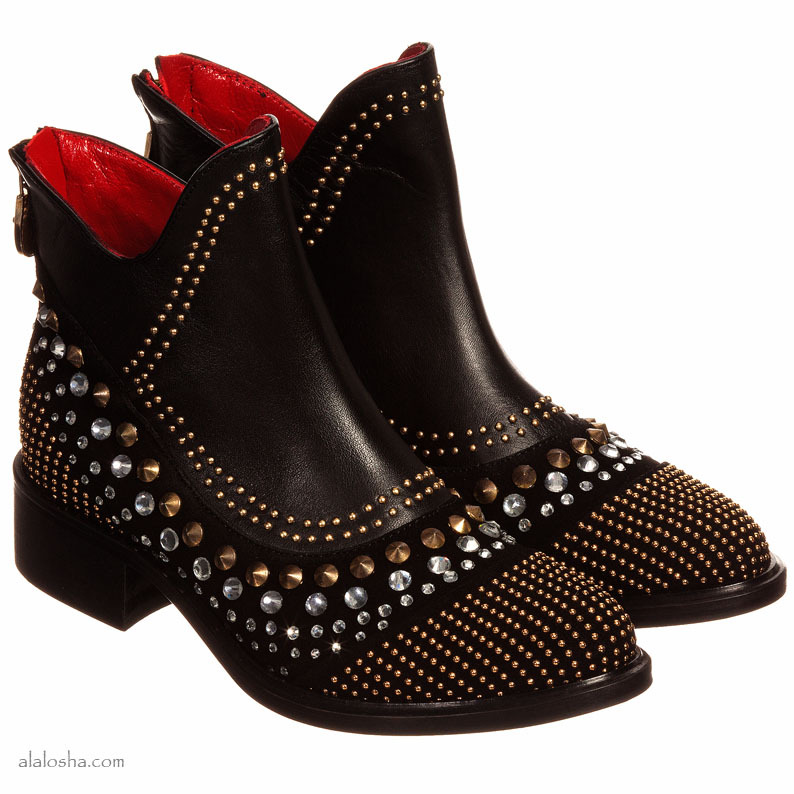 Girls amazing, black leather ankle boots by Cesare Paciotti, embellished with gold studs and sparkling diamanté. Fully lined in smart red leather, they have a zip fastening at the heel with the designer's logo pull tab. 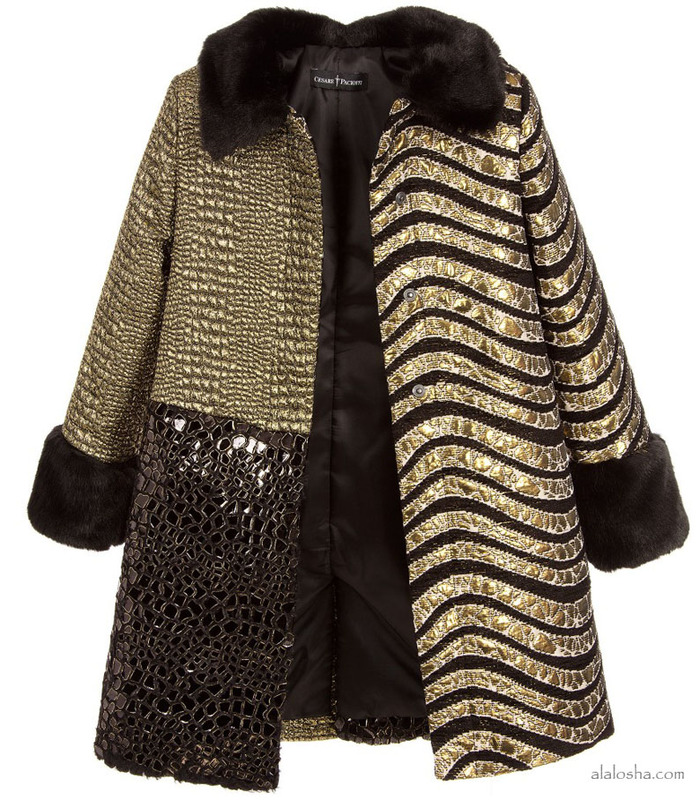 Girls fabulous metallic gold coat from Cesare Paciotti. This statement design has squares of metallic gold and black textured fabrics, in different animal and reptile prints. There are synthetic fur trims to the collar and cuffs, with a concealed front popper fastening, side pockets, back vent and a silky lining.